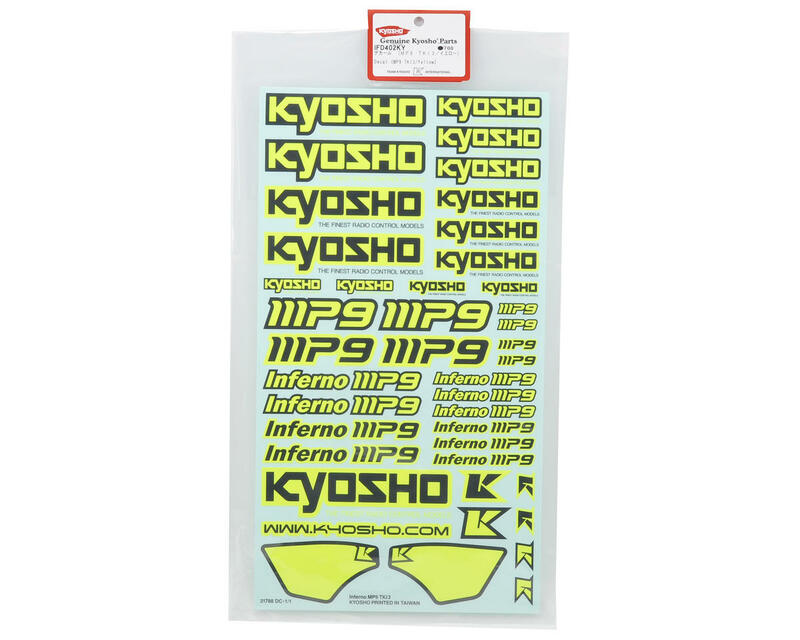 This is a Kyosho TKI3 Decal Sheet, and is intended for use with the Kyosho Inferno TKI3 1/8 scale buggy. the pic of these doesn't do them justice this is a huge sheet of stickers! Favorite decals for the MP9. The yellow really stands out on the body and with yellow wheels looks great.